This profession is a diverse landscape filled with individuals who have strengths that we must embrace. Physical education is not an individual sport. By leveraging our collective strengths we can accomplish the unthinkable…the unattainable…we can shift the paradigm. 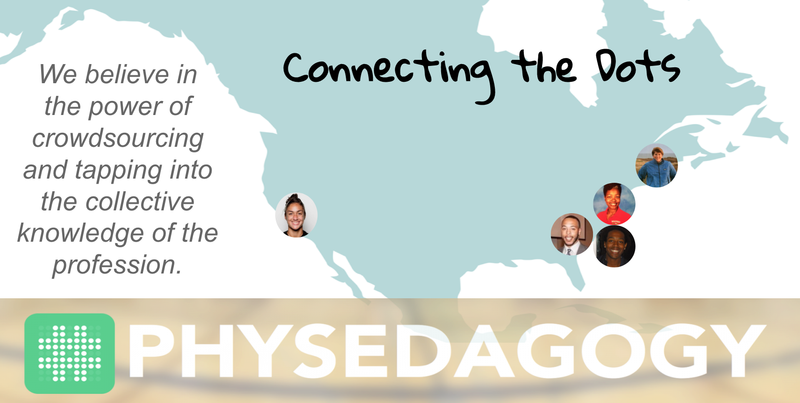 The opportunity to share our voice through blogging is something that has had a great impact on the professional growth of all of us at PHYSEDagogy. While each of us has a goal this year to blog more, we feel we are not the only ones with something important to say. We’d like to introduce you to Connecting the Dots: A Guest Blog Series. Betsey Caldwell, Massachusetts | A proud graduate of the Physical Education Teacher Education at the University of Massachusetts at Amherst, Betsey Caldwell is currently a K-8 health and physical education teacher in the suburbs of Boston, Massachusetts recently moving back to Massachusetts from Vermont. Betsey has been active professionally her entire career and thanks her mentors and professors for instilling the passion of giving back to the health and physical education community. Betsey most recently served as the Past President of SHAPE Vermont and found great JOY in the journey of #playingitforward, sharing best practices, modeling exceptional teaching, and mentoring our present and future professional leaders. She is passionate about advocacy, technology, leadership, collaboration and changing how the world sees physical education in our schools. Stephanie Sandino, California | Stephanie Sandino is a Physical Education Teacher at Robert O. Townsend Junior High School in Chino Hills, CA. All of her studies including her Bachelor of Science, Single Subject teaching credential and Master’s of Science were completed at California State Polytechnic University, Pomona. Prior to transitioning into the middle school role, she taught at an elementary school for 3 years which has given her a good base in the direction she would like to take her 7th and 8th grade students. She’s an active member in the #physed community as a moderator for the #ESPEchat team, EPEW Committee Member and a volunteer instructional coach for the H-PEC team. Stephanie is a big believer in helping youth find their red rubber ball. Every student beginning their journey with a staple red rubber ball and helping them morph it with learning experiences- ultimately, ending up with something that they love to do and keeps them moving for a lifetime! Kennedra Tucker, Maryland | Kennedra Tucker is a 12-year veteran Physical Education Teacher. She has taught at the elementary level in Prince George’s County Public Schools for the past 11 years and will be moving on to teaching middle school in Howard County Public Schools this year. Kennedra is a graduate of McDaniel College and the California University of Pennsylvania. Fingers crossed, she will be Nationally Board Certified in December. 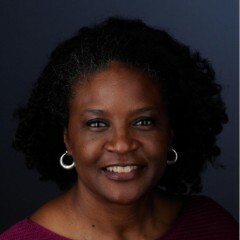 She is currently the President Elect of MAHPERD (Maryland Association of Health, Recreation and Dance). She presents regularly on Teaching PE in limited space, culturally responsive PE & using movement & mindfulness to engage classroom learners. Kennedra is also a certified fitness instructor and teaches dance fitness and cardio kickboxing classes at Bowie State University. She has a passion for helping people of all ages become more confident movers who use exercise to improve their quality of life. Chris Walker, North Carolina | Chris Walker is a graduate of The University of South Carolina Upstate (formerly known as USC-Spartanburg. A teacher of 21 years at Hillsborough Elementary School, he is the lead elementary physical educator in Orange County Schools. He is the current president of the North Carolina Physical Education Association (NCPEA). He has presented all over the state of North Carolina doing PD for over 20 years and is now an OPEN national trainer. 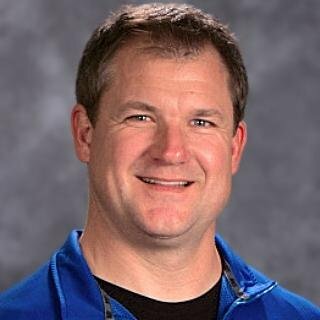 His passion is helping teachers to grow as professionals and leading by example. Need help with assessments. 75 kids a class. no ipads. HELP. Adam & Crew: Many thanks for this innovative blog series! I’m looking forward to the impact that these five outstanding role models will make for the children and youth we serve! !